In the attempt to take my mind off things a while, I went on a late lunch plus tea time with the girls. What can I say, nothing like spending time with the people your heart connects with most. Dressing up to the occasion, I pulled out the pretty pearly top from Red Cherry and super comfortable skirt and sandals. Oh yes. The older you get, the bigger the problems life throws at you. Some people complain about the never ending bumps on the road of life, they can't see while claiming their take on life pivots on how wonderful and trouble-free life should be, they're closing their eyes to the reality of life... the very point of life itself. Like it or not, life IS supposed to be with problems, one after another. After all, what matures you and makes you a bigger person is not the happiness, but those punch-in-the-faces life gives you. I can't deny complaining is human nature, but not everyone keeps it at the point where complaining is merely expression of emotion to blow off steam. When your complaints drive you, instead of the other way around, you're headed to the doom. So keep your mind open and when trouble comes your way, stand up tall and look it in the eye and say "Come at me!" Your skirt is so cute !! So pretty! 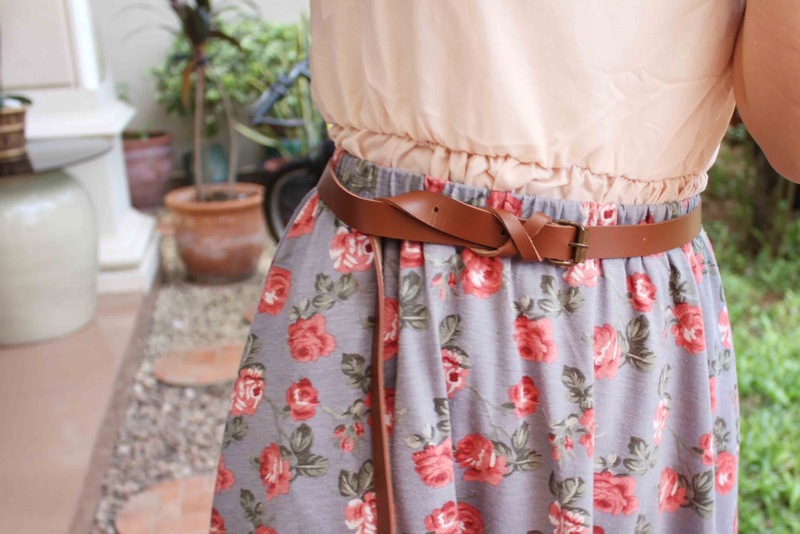 That flower print skirt is really cute! You look super cute! I missed visiting your blog! I'm glad you had a good time with your friends. I agree that the more we get older, the bigger problems we get kak! Your Smart casual dress code looks so awesome! Love the outfit! what a lovely outfit from head to toe! love it! you look really lovelyyy :) love the skirt! Thus, on the off chance that you are searching for any loan hotspots for meeting pressing quick money issues then do consider seeking text loans no credit check. These are impeccable loans answers for given conditions and give simple money availability to a wide range of borrowers.